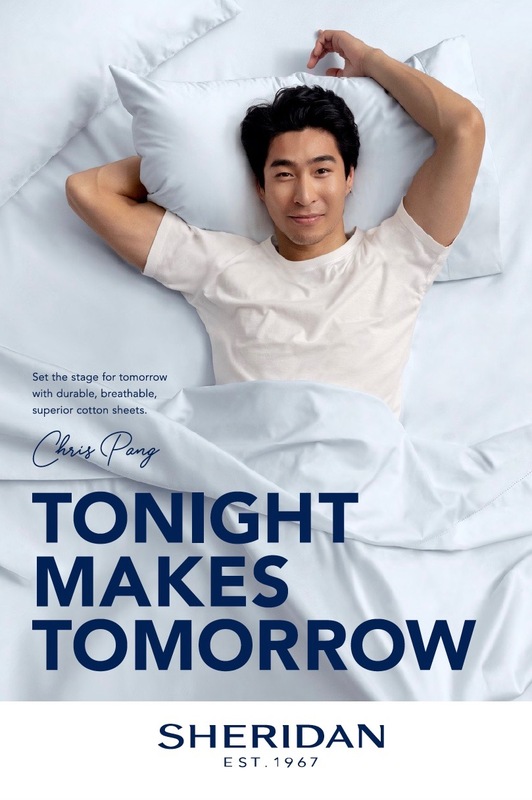 Sheridan has partnered with Lara Worthington (model, entrepreneur, social activist), Chris Pang (Hollywood actor – Crazy Rich Asians, Charlie’s Angels) and Amrita Hepi (dancer, choreographer, artist) to front the new instalment of the Tonight Makes Tomorrow campaign via TBWA\Sydney. The campaign invites Australians to rethink how the quality of their sheets, play an integral role in achieving their goals. The first instalment, featuring Lee Lin Chin, Sam Margin, Rosie Tupper, Otis Carey and Steph Claire Smith, reached over 12.1 million Australians. The Tonight Makes Tomorrow campaign focuses on the one thing that Australia’s leading overachievers all have in common – they understand, that the choices you make tonight, can make a world of difference tomorrow. Whether you’re preparing for the role of your life, expressing yourself through your passion, or focusing your efforts on an impressive goal; the quality of your decisions, ensures the quality of your achievements. The campaign includes OOH in Sydney and Melbourne as well as a series of long form, 30, 15 and 6 second online content featuring each of the talent. Sheridan sheets are available online at sheridan.com.au, Sheridan boutiques, David Jones and other specialty retailers.